BRISTOL -- Submissions for the Create for Change contest are currently being accepted from high school students in Bristol. Students are asked to think of concepts about how to unify people in a community and portray them through various artistic forms outside of the classroom. The winner receives a $500 prize. The contest was created by local marketing consultancy Journey Communications and the founder Chelsea O’Donnell, explained that this contest was designed for local kids to speak their minds about real issues by using their creativity. The contest lets any student speak their mind and have a shot at inspiring the community while competing for the chance to win some money for their future, stated O'Donnell. “With so many political, religious and personal opinions dominating headlines in the news media, Create for Change gives us the opportunity to rise above all the talk and do something for our city that inspires change, tolerance and acceptance,” O’Donnell said. The contest is aimed at inspiring tolerance and kindness in a time where politics and personal beliefs can lead to adversity amongst communities. “By handing the reigns to our youth, we are welcoming a fresh perspective and a glimpse into the thoughts and ideas of the people who will someday run our small local businesses, build huge corporations and maybe even run for political office,” O’Donnell added. 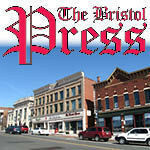 The contest is open to all high school students and recent graduates in Bristol. Entries can be submitted in multiple forms including essays, photography, art, music or video, noted O’Donnell. Students have until August 1 to submit their entries that will be reviewed by a panel who will determine the winner. The winner, which will be announced on August 25, is based on the student’s ability to articulate a thought-provoking answer to the questions, originality and creativity. “We look forward to seeing what our local youth is capable of and we’re most certainly ready to be inspired by them,” O’Donnell said. For more information about the contest or the application process, visit journeycomm.com/createforchange. Lorenzo Burgio can be reached at lburgio@centralctcommunications.com. Posted in The Bristol Press, Arts, Bristol, Forestville, General News on Tuesday, 11 July 2017 20:42. Updated: Tuesday, 11 July 2017 20:45.